The Pro-Line Lime Saver keeps cut citrus fresh and fragrant. It is also a fun way to serve limes at the table or to keep lime wedges fresh for garnishing beverages. 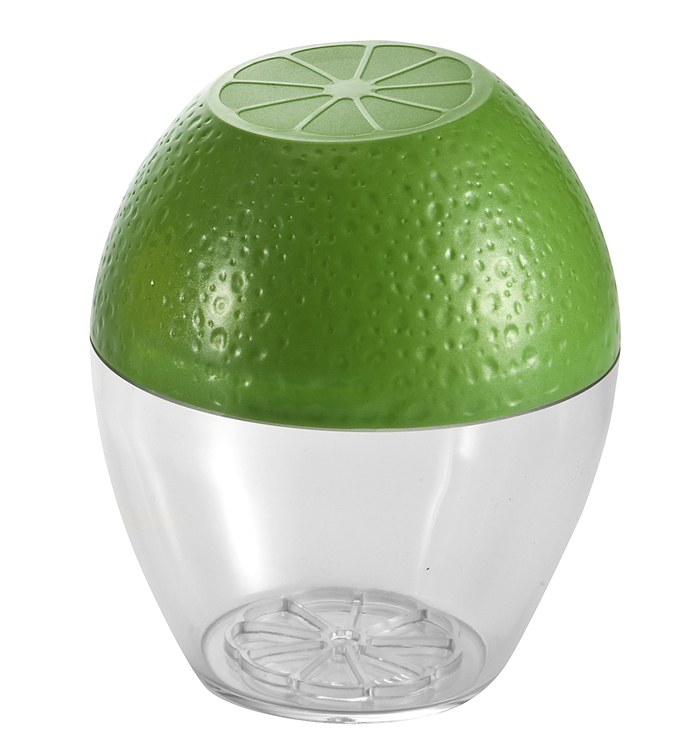 The practical Lime Saver with its bright top and clear bottom is easy to find in a crowded refrigerator. The 2 sides attach by twist lock. These are phthalate and BPA-free. Reusable and recyclable. Dishwasher safe.